Aaron Baddeley visualising and executing his approach shot to 18 in his final round at The PGA Tour Northern Trust Open that Baddeley went on to win. Visualising the successful outcome of a shot before playing it – as part of a pre-shot routine helps to reduce anxiety in pressure situations and allows the body and mind to work unhindered by the grandeur or difficulty of a situation. 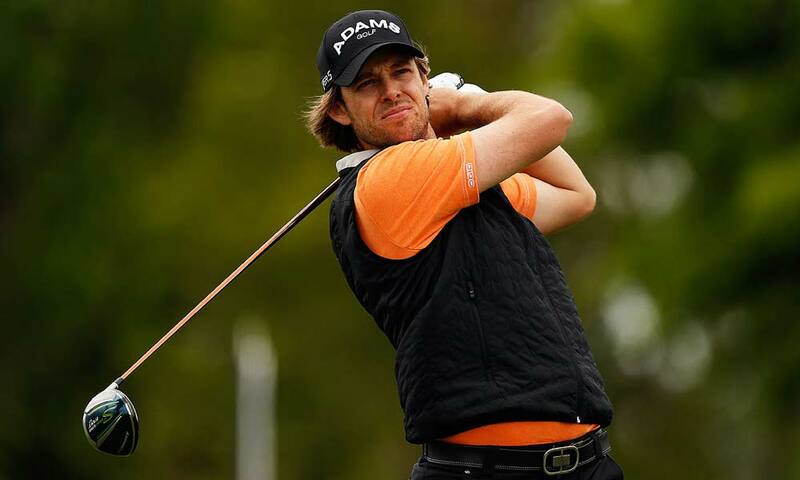 Notice how Baddeley looks completely relaxed and at ease as he set in to the ball – almost happy – he is now able to swing freely and execute his shot without fear. Amateur golfers can learn a lot from this, particularly in pressure situations such as chipping over a bunker or driving over a hazard. Dustin Johnson Smashes it out of the Range – 325 yard Carry! Solid Chip Shots Every Time!